Warren Winiarski did not start out for a life in wine. That is, unless you consider his fathers efforts at making wine at home. The first job in Napa Valley for Warren Winiarski was at Souverain in 1964, which followed a short stint as an intern at Martin Ray. Both estates were already specializing in Cabernet Sauvignon. The first purchase of vineyard land for Warren Winiarski took place in 1965, when he obtained 15 acres of vines at the bottom of Howell Mountain. The vineyard was cultivated to Petit Sirah and Alicante Bousche. Those vines were quickly ripped out and replaced with Left Bank Bordeaux varieties. He added to his holdings with the purchase for 44 acres of land in the Stags Leap District that was mostly planted with fruit trees. The fruit was removed the vineyard was cultivated for growing grapes used to produce wine. 1972 was the first vintage for Stag’s Leap Wine Cellars. Warren Winiarski completed construction on his winery the following year. Stag’s Leap Wine Cellars was clearly on a fast track in those days. On the advice of their consultant, Andre Tchelistcheff, they introduced a new wine that was a barrel selection. The wine took its name from the number the barrel was given, Cask 23. As we said earlier, Stag’s Leap Wine Cellars was on a fast track to becoming one of the hottest brands in the Napa Valley. In 1976, Stag’s Leap Wine Cellars became the most popular Cabernet Sauvignon wine in Napa Valley after winning the famous, blind tasting called “The Judgement of Paris!” That moment changed everything for Stag’s Leap Wine Cellars and Napa Valley. In 1986, Warren Winiarski purchased on the famous Fay vineyard, from the properties namesake, Nathan Fay. This was a perfect fit for Stag’s Leap Wine Cellars as the vines were located adjacent to the main grape source for Stag’s Leap Wine Cellars. At first those vines were just added into their Cabernet Sauvignon. But with the increased popularity and demand for single vineyard, designated wines, they eventually began producing a specific wine from the Fay Vineyard, starting with the 1990 vintage. 2000 they finished a modernization of the cellars and wine making facilities and caves. 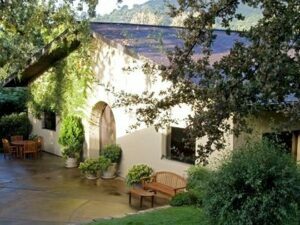 In 2007, Stags Leap Wine Cellars was sold to Ste. Michelle Estates and Marchesi Antinori for a then, whopping, record setting price of 185 Million Dollars! One of the first moves made by Piero Antinori after investing in the estate was to bring in his favorite consultant for the Antinori wineries in Italy, Renzo Cotarella. The 3 main grape sources for Stags Leap Wine Cellars remains Danika Ranch, FAY Vineyard and S.L.V. Vineyard. Fay Vineyards has a terroir of rocks, stones, gravel and loam. The S.L.V., (Stags Leap Vineyard,) has volcanic soils and Danika Ranch has mostly loam soils, on flatter land. Stags Leap Wine Cellars produces several wines today. Artemis Cabernet Sauvignon, Aveta Sauvignon Blanc, Kairia Sauvignon, S.L,V Vineyards, Cask 23 and Fay Vineyards. Stags Leap Wine Cellars also makes some of their wines with purchased fruit. Vinification takes place in stainless steel tanks and the amount of new, French oak for the aging varies, depending on the vintage, grape variety and the wine, often ranging from 25% to 100% for Cask 23. 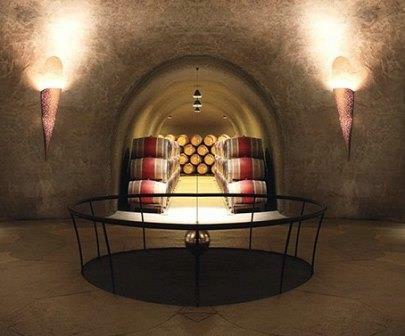 Stags Leap Wine Cellars is best served at 15.5 degrees Celsius, 60 degrees Fahrenheit. The cool, almost cellar temperature gives the wine more freshness and lift. Young vintages can be decanted for 1-3 hours, depending on the character of the vintage. This allows the wine to soften and open its perfume. Older vintages might need very little decanting, just enough to remove the sediment. Stags Leap Wine Cellars is best served with all types of classic meat dishes, veal, pork, beef, lamb, duck, game, roast chicken, ribs, hamburgers, barbecue, roasted, braised, grilled dishes and stews. Stags Leap Wine Cellars is also good with Asian dishes, hearty fish courses like tuna, salmon, mushrooms and pasta. The white wine of Stags Leap Wine Cellars is best served with all types of seafood and shellfish, sushi, sashimi, chicken, veal, pork and cheese. Really nice wine, with grace and elegance, along with rich textures, lush polished, ripe, sweet, black, red and blue fruit, chocolate, licorice and earthy notes. Showing a bit too much oak toady that dominates the sweet, ripe, black cherry and licorice notes. Soft, forward and easy to drink, there is a bit of dusty tannins in the finish. A little better than the last time I tasted its fresh, black raspberry and dark chocolate sensation. The wie is sweet, soft, polished, open and ready for prime time, finishing with a hint of dust in the tannins. Bright, medium bodied, firm, structured and fresh, with more red fruits than black, dusty tannins and a cherry tinged finish is probably best if its enjoyed in its first decade of life. Forward in style, this soft, medium bodied, open blend of red and black spicy fruits dominated by red cherries, spice and oak is ready to drink. Spicy, soft, polished and silky, the wine is loaded with fresh, ripe, black and blue fruits that end In a fresh, clean finish. Forward in style, with an easy to like personality, supple textures and a sweet, chocolate covered cherry finish. Jammy black raspberry, coffee bean and earthy scents finish with a bright, crunchy sensation, coupled with herbs and olive tapenade. Elegantly styled, medium/full bodied, fresh, soft, polished, bright expression of California Cabernet Sauvignon, finishing with a sweet, cherry, and spicy, cassis end note. Simple, without excitement or complexity. A beautiful example of an aged, California Cabernet Sauvignon with all the trimmings. Interesting aromatically, full-bodied and with a depth of flavor from start to finish, the ripe, earthy, sweet blackberry and thyme filled finish with just a bit of dust in the tannins really hit the spot. Medium bodied, and more about its finesse and elegance than power, the wine displays sweetness and purity to its fresh, cherry and plum fruits. Slightly past fully mature, there is no reason to hold this any longer. Whoa Mr. Ed. My first whiff had enough barnyard aromas to choke a horse, or at least to stable one. Add incense, earth, truffle, smoke, dirt and black cherry to an idea of where this wine is coming from. There was a touch of dryness in the cassis, cranberry and cherry filled finish. I’ve had better bottles of this in the past. I think this wine has started to drop its fruit and requires consumption. Past its prime, the medium bodied, earthy, wine is clearly fading, leaving you with more tart, cranberry fruits than I prefer. Historically interesting, but not much pleasure remaining. Drink up.